It always pains enrages me when I meet a new client that has been taken by an underhanded search engine optimization company. And trust me, they are everywhere! They honestly don’t care if they burn a website to the ground, their goal is simply to make a bunch of money as fast as they can. One black hat SEO company that I am aware of makes the generous offer to refund HALF of your money if you are not satisfied with their services. What does a company like this have to lose when they are guaranteed HALF of their client’s money regardless of the outcome. Good Lord! 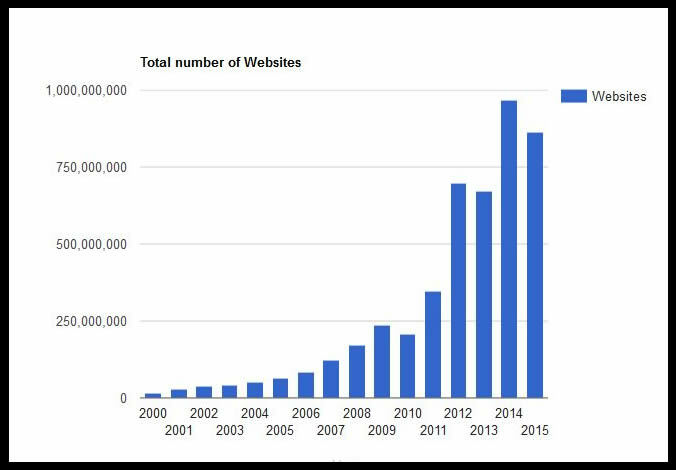 In 1996 there were a grand total of 257,601 websites in existence. In 2016, there are 1 billion.1 Just do the math. It is NOT easy to get on the first page of Google, much less the number 1 position. In our industry, those dirty little optimization tricks are called “black hat” and the people that do it for a living “black hat SEO’s”. I won’t go into all of the different black hat SEO methods, but I wanted to talk about one of the most promoted and abused. Backlinks. It is no secret that EVERY SEO Company looks to exploit Google in some way to get their clients to the top of the page. The thing is there are good ways to “take advantage” of Google and there are bad ways. The good way is to give Google what it wants. Improve the quality of your website, supply good content that people are looking for, make sure the site loads quickly and works on mobile devices, provide clear and compelling website titles and descriptions, submit a sitemap, update your business page etc., and you will put your website in a position to excel. But again, that takes time and patience. Some website owners do not have the patience to optimize correctly (see my blog post The Tortoise and The Hare and Google Entitlement Mentality which I wrote in 2009, but is STILL relevant today). These are the type of people who are more susceptible when approached by black hat SEO companies. They just want to hear the word “fast”. So you need to know, Google works on filtering out low quality, spammy websites like it is their day job! (Oh wait… ) Google makes minor updates to its algorithm (the formula by which it determines which websites get top rankings and which are suppressed) on a regular basis. It also releases MAJOR updates now and again which totally shakes things up. Google’s Panda Update focused on low-quality sites, “thin” content, and websites that generate large volumes of pages geared towards raising rank and have no value for readers. Approx. 12% of searches were effected as penalties were applied to websites meeting this criteria. The Penguin Update focused on lowering the ranking for websites that violate Google’s Guidelines by using black hat SEO tactics. It particularly focused on websites that artificially raised ranking by manipulating the number of links pointing to a page. It effected approx 3% of searches. For the first time, the penalty effected the whole domain instead of just the page with the links. Google meant business! The reason for my post is this. It is perfectly reasonable that anyone who owns a website, especially if they are in a competitive industry, will at some point look into ways to improve their search engine ranking. After 20 years, the Internet is filled with old articles that promote black hat SEO tactics. Also, there is a plethora of companies out there still willing to incorporate those tactics for you. If I can save one soul here I will die a happy woman, lol! I was contacted by Thor a couple of months ago. He was wondering if I was working full-time again and willing to take him back on as a client. When I parted ways with Thor in July of 2010 he was getting 6,415 unique visitors to his website per month. This year In July he got 233 unique visits. You guessed it. He had hired ANOTHER company that used linking schemes and ended up back in the same boat as when I first met him 10 years ago! This time he got… THE PENGUIN! His business has all but gone away. The SEO broke the rules. Link farming is directly forbidden by Google guidelines. The references (links) that were given to Google (The Employer) were unimpressive and shady. Now Google is making a bad association and has tossed the resume in the trash. There is a factor that Google cherishes above most of the others, and that is TRUST. Trust is determined by the quality of links pointing to your website (among other things). If you hang out with the wrong neighborhood, you lose Google Trust. The SEO Company that may have effectively ended this business, boasts thousands of customers. Their plan… We will set up a structure where there are 30 social websites linking to 8 Web 2.0 websites, which link to 2 “authority” websites that will link to your website. FEEL THE POWER! Only the two “authority” websites had NO authority whatsoever. They were two one-page free websites that were poorly written and filled with typos (death by Panda). The 8 Web 2.0 websites all had the status “page not found” or “server error”. The 30 social links had absolutely nothing to do with his industry (Penguin food). Do you see where I am going? In the end my client ended up with 30 social links with zero power, pointing to 8 broken links. If the links had ever made it to the “authority” pages it would not have made any difference, because those pages sucked and had no ranking. We simply ended up with over 700 horrible backlinks that we are STILL trying to get rid of. And guess what Thor was paying for this incredible, business-demolishing technique? Come on, GUESS! PLEASE SEO SHOP RESPONSIBLY! If you have any questions at all, I am happy to help!